Customer brought in this bike to try our wash. Here is the video he sent me. As promised a video of the fully automatic touchless motorcycle wash at Hog Wash. This is the first motorcycle we put through our machine. Enjoy. 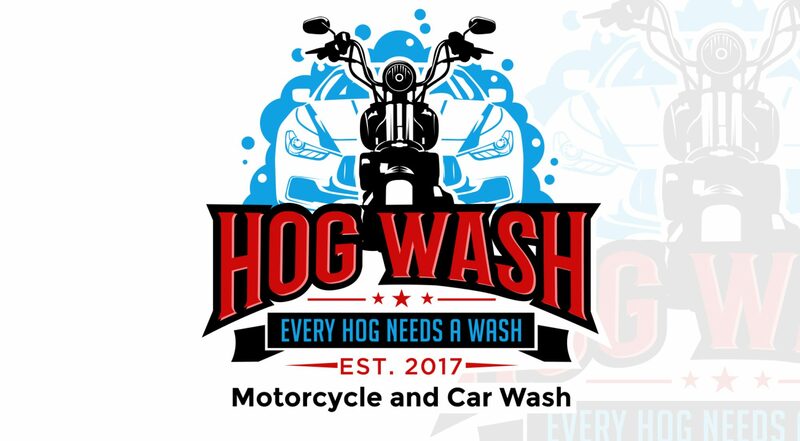 Here is a video of the Hog Wash fully automatic touchless motorcycle wash installed. March 12th we add the final touches. April 6th 2019 is the grand opening (weather permitting). I will film it in action in about 14 days from 3/2/2019. 2180 7th street White Bear Lake, MN 55110 is our address. Here is our progress so far 2/21/2019. We expect to have the grand opening for the motorcycle wash April 1st 2019 (weather permitting). Construction for motorcycle wash started on 2/19/2019. We are on the way to completing the fully automatic touch-less motorcycle wash! We had to close for two days because of the polar vortex in January 2019 but now we are back on schedule. Today they poured the concrete and the drain has been fully installed. Motorcycle detailing is one of our passions. We detail cars, boats, buses and whatever fits in our bays. We are closed this rainy day 10/10/2018 to install 2 new water softener units. These are getting put in now. We apologize for the inconvenience. Thanks Andreus on another great Harley detail.